Earlier today, the La Crosse Police Department received two Segway x2 SE Patroller vehicles and began training for the safe operation of these vehicles. 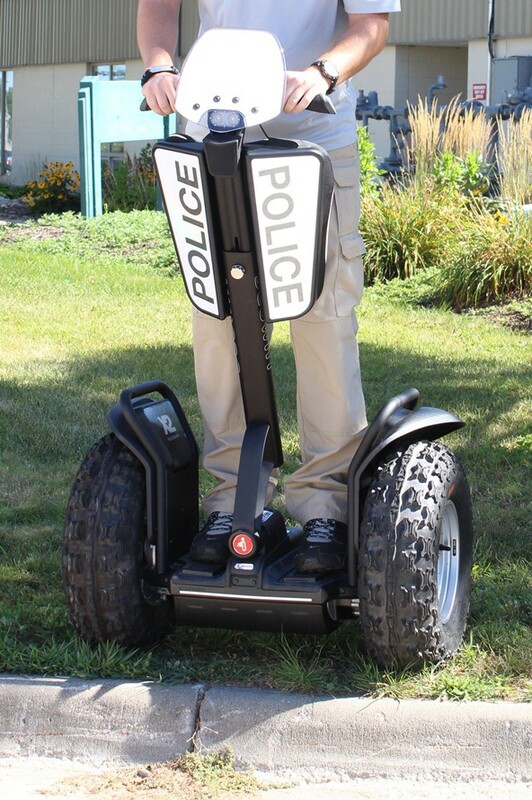 The Patroller Segways are built for law enforcement use, employing additional equipment such as reflective shields, blue and red police lights, larger all-terrain tires, cargo frames, comfort mats, and gliding lights for low-light conditions. During this morning’s training, Officers Dennis Love, Nate Poke, Dakota Jelinski, and Rick Pfennig learned how to safely operate and maneuver the vehicles. These officers will then train additional officers to use the Segways. 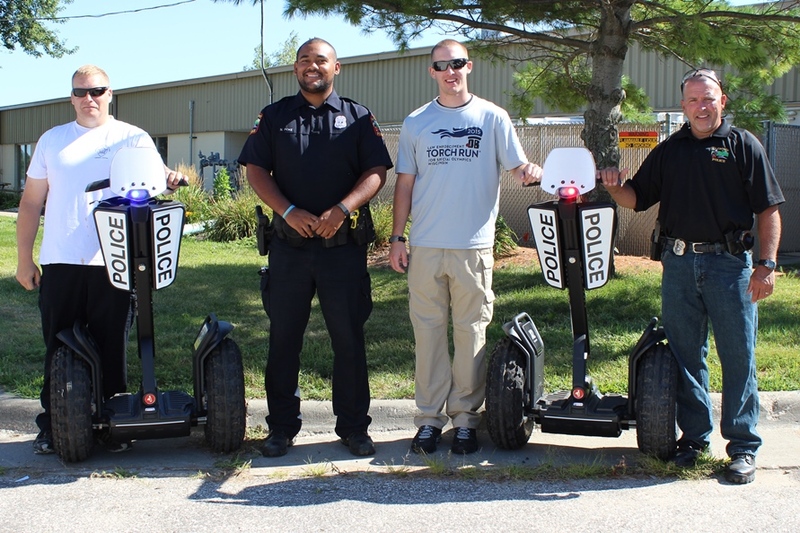 The Department plans to utilize the Segways on regular patrols in neighborhoods and business districts, through parks and trails, and during festivals and special events. The vehicles will provide an alternative to foot and bicycle patrols, helping to reduce fatigue, while still providing a more visible and approachable way to interact with the citizens, visitors, and businesses in our community. Officers Love, Poke, Jelinski, and Pfennig train to use Segways.